Saddle fit is extremely important to the mule! People who don’t know mules or donkeys might say that they’re dumb or stubborn. Wrong. They are incredibly intelligent – they just don’t like to be in pain and when they’re in pain, it’s hard for them to do much of anything. There is a lot to know about getting the right saddle for your mule or donkey. 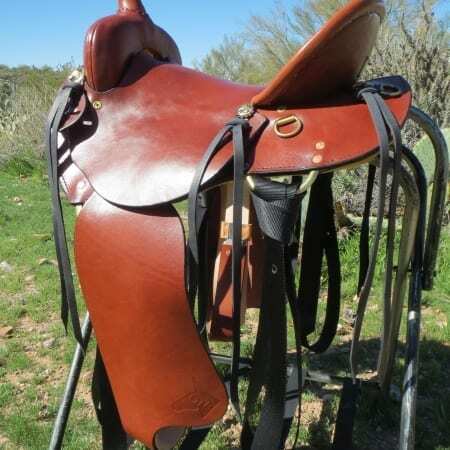 In this article we will look specifically at saddle fitting – however, be sure to educate yourself with everything you need to know about mule saddles before you make your next purchase. Education is the most important thing you can have when owning a mule or donkey. If you love Ole Fluffy, go to the lengths necessary to make sure the saddle fits and is comfortable. When you do, your buddy will do so much better out on the trail. Why? Because each step will be comfortable instead of filled with excruciating pain. Another reason to have the right saddle fit is your safety. When the mule is comfortable he moves better and can respond better to your communication. If Mr. Mule is in real pain from an ill-fitting saddle, that’s when you get bucking… that’s when you might see bolting. Getting a saddle that is made to fit your animal is the best thing you can do for the quality of life of the animal, your safety, and overall enjoyment! When you invest in a saddle that is constructed to fit your mule, not only is Fluffy more comfortable, not only are you safer, not only are you more comfortable and not only is Fluffy safer, but you also save money. You see, a saddle that is built correctly to fit a mule or donkey will fit the next mule or donkey. 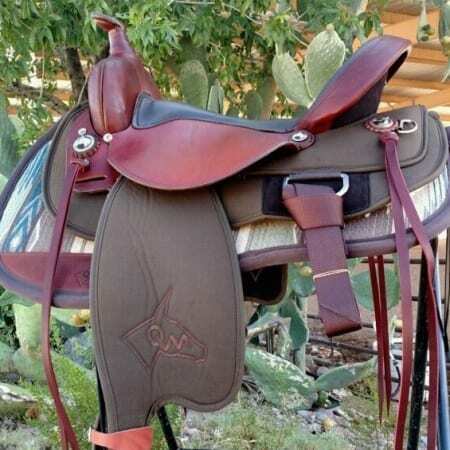 You may think you need a custom saddle in order to get the perfect fit. Folks, you’ll have the perfect fit as long as that animal stays that same size (but he won’t). You want to fit your saddle to the animal’s bone structure and the only way you get that is with a saddle that is made with mule bars – Steve Edwards mule bars. 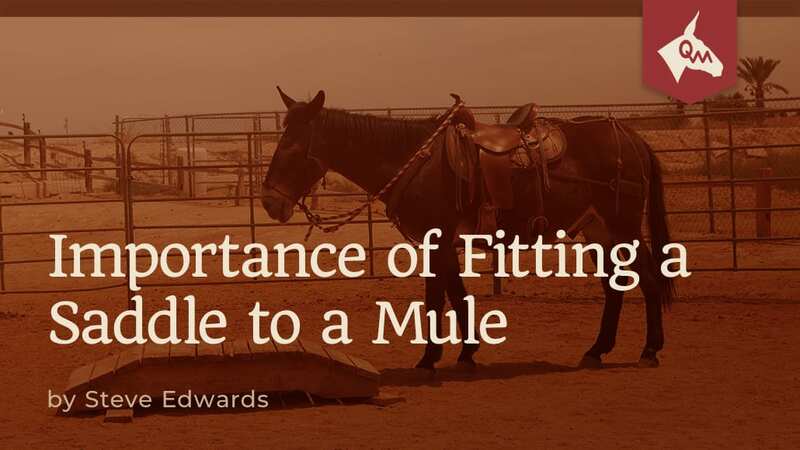 As you’re learning more about mules and trying to figure out how to be the best owner possible, you’re discovering that maybe the tack you’ve been using, maybe the saddle you’ve been using might be causing some of the problems you’ve been experiencing. If your mule is showing any of the following signs, folks, chances are that your saddle is ruining your mule – slowly but surely. Your mule moves away from you when you’re trying to saddle him. Your mule moves away from you when you are trying to get in the saddle. You notice your mule elevates his head when you try to get in the saddle. You are seeing your mule shake his head when you’re riding down hill. Watching your mule, you notice he becomes short-strided. After removing the saddle, you see white hairs, hair loss or sores under the saddle. Your mule shows uneven sweat patterns or ruffled hairs after riding. These are just a few of the more common behaviors a mule will use to let you know he’s uncomfortable. Maybe you’re not seeing any of these signs, but something just seems off. You’re not convinced that the ‘mule saddle’ you are using is actually a mule saddle. Or, you’re still using a horse saddle. 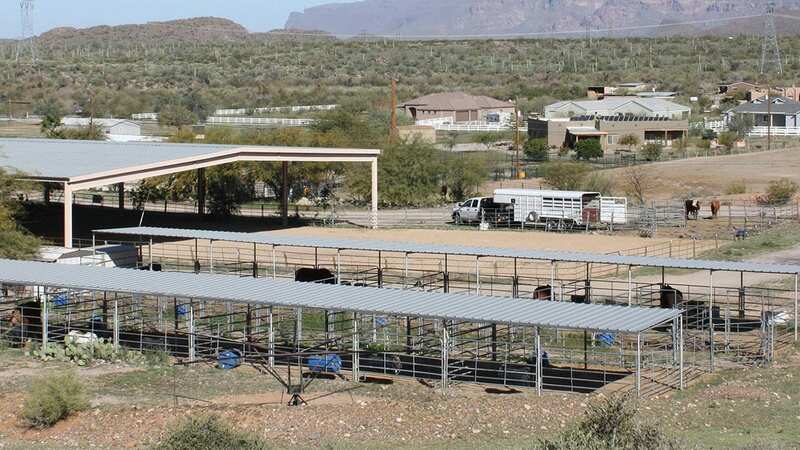 You need to ride with confidence and confidence comes with proper ground foundation training and using the right tools to communicate with your animal – including a mule saddle with mule bars. I first got started with mules back in 1982 and my first mule was Casper. I went to check out this mule, looking to buy, and when I took him out on the trail he bucked me off. I thought, “Well, I’m going to by this son-of-a-gun and get even with him.” That was the beginning of me working with, learning about, and listening to the mule. I never got into mules to make saddles or instruct others how to care for them, but as I listened to the mule and learned, I discovered that a lot of my problems were rooted in a saddle that didn’t fit. I took to designing a saddle that was made for the mule. That truly is how how my Steve Edwards Signature Saddles came about. My saddles are the only saddles in the world built with true mule bars. The bars of the saddle are the two pieces of the saddle tree that go down the mule’s back on each side of the spine. True mule bars – my mule bars – will be level with the back all the way from the front to the rear of the mule. There is a little bit of elevation in the back to allow the kidneys to remain safe and protected from pressure coming down on top of them. Used to be that folks didn’t sell ‘mule saddles’ – rather, they just told mule owners, “Oh, this horse saddle will fit just fine.” I thank the good Lord that our mule and donkey people know better these days. Our animals are better for it. However, with owners being more educated, there are some who would make small adjustments in a saddle to have them appear to be for the mule or donkey – but at their core level, the bar level, those saddles are every bit as rotten as a horse saddle on a mule. The only way to know if a saddle is made with true mule bars, Steve Edwards mule bars, is to strip everything off of it and look at the tree. Not really an option, is it? This is why it is imperative that you buy a mule saddle, confident that it is truly for your animal. Every portion of the saddle should be designed correctly. Let’s just take a quick look at one area, the pommel. The space underneath the pommel is called a saddle gullet and it is located over the mule’s withers. It is important that the gullet have the right amount of clearance over the withers. If the height is too short, the saddle will rub on the mule’s withers. If the gullet is too wide, the saddle will sit too low on the shoulders and also rub on the mule’s withers and the fat pocket right underneath the D-rings of the saddle. When you go too wide, you end up being on the fat pockets which can lead to the possibility of kicking out the ribs. Often folks will think that getting the saddle is all they need to do in order to correct a lot of the issues they find in their mule. It’s a great start, but it isn’t going to make much of a difference if you’re using tack that isn’t designed to fit with the saddle. My saddle is designed to be used with a britchen, a breast collar that allows for full and fluid motion, and two cinches (loose in the front and snug in the back). By fitting your mule with the proper saddle and tack setup, you will see many benefits. The saddle does not rest on Mr. Mule’s spine or poke him. The tree sits in the sweet spot of the ribs, well back from the scapulae. The breast collar and britchen stabilize the saddle and keep it from moving front to back or side to side. The rear cinch is tighter, but neither need to be “cranked down”. The rider feels secure in the saddle. 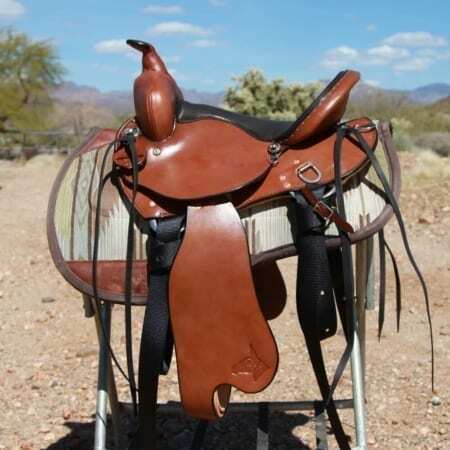 The saddle fits the mule year round and fits most mules. While I didn’t get into the mule world to sell saddles and tack, I did take it upon myself to do what no one else out there was doing – listen to the mule and find out how to best communicate with him. After decades of working with mule owners, folks just like you, and seeing what a difference having the right saddle fit makes in the life of the mule and the owner, I’m proud to put my brand on my saddles and tack. I want every mule owner to buy my saddle because I want the best for the owner and the mule and I care about the safety and comfort of you and Mr. Mule! It is natural to have questions about your mule, your situation, and what you need in order to help get Mr. Mule back on the path to joy so give me a holler, I want to help ya! I encourage you to call me at 602.999.6853 or email me, support@muleranch.com, with your questions.